All Vernon homes currently listed for sale in Vernon as of 04/23/2019 are shown below. You can change the search criteria at any time by pressing the 'Change Search' button below. If you have any questions or you would like more information about any Vernon homes for sale or other Vernon real estate, please contact us and one of our knowledgeable Vernon REALTORS® would be pleased to assist you. "*Final Price Drop*! What a great home on 38.79 acres with 7.89 acre feet of water! 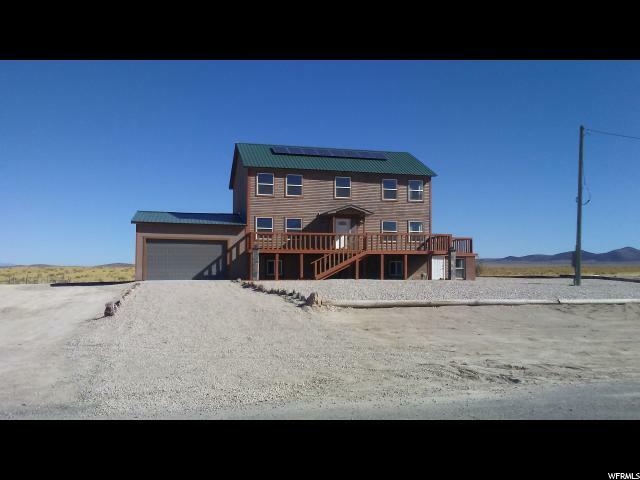 Mostly remodeled the last year with a full solar power system that has grid back up for much lower utility costs. It has nice granite counter tops in the kitchen and master bath. There's a large kitchen with stainless appliances and a huge sink. The master has a separate shower, jetted tub and walk in closest. It has 7 beds, 3 baths and a large mother in law apartment with 3 bedrooms. Also an oversized and raised height garage, barn, sheds and fire protection landscaping. A great place for horses and animals being fenced and cross fenced. This could even be a hunting lodge with trophy deer crossing the property. There's a good well with the entire home on a Britta filter system. It borders public lands so you can ride horses, or ATV from the property line! Near a lake, stream and huge amounts of recreation trails. Too much more to list. A letter of pre-approval for financing is required with all offers. Also cash offers preferred with POF."